The Dominican Republic is divided into 31 beautiful provinces, while the national capital, Santo Domingo, is known as Distrito Nacional. Azua is a province located on the south western side of the country. Azua is a coastal province, thus offering access to some great Caribbean beaches. Baoruco is located on the south western corner of the country. Despite not being located on the coast, this province is well known for its beautiful mountain range, making it a perfect spot for a destination wedding. Barahona, home of the Enriquillo Lake, the largest inland salt lake in the Caribbean, is located on the ocean. Barahona has a perfect combination, offering mountain on one side and some of the best beaches in all of the Caribbean on the other. Dajabón, located on the Dominican Republic and Haiti border, is situated in the mountains. If a beautiful mountain range has always been the dream backdrop for your wedding, this may be just the location for you. Distrito Nacional is the province surrounding the capital city, Santo Domingo. It offers an array of good food and active night life. This should top your list if you are looking to bring a little bit of city into your big day. Duarte is home of Pico Duarte, one of the Dominican Republic’s tallest mountains. Sitting at 10,000 feet, Pico Duarte is not for the faint of heart. If you enjoy hiking and are up for a challenge, make sure you check out the province of Duarte. Elías Piña is another province on the border of the Dominican Republic and Haiti. It offers easy access to the mountains, while maintains close distance to the Pic Duarte mountain range. Located on the eastern coast of the Dominican Republic, El Seibo offers a mixture of rolling mountains and perfect coastline. This makes it easy access to some of the best beaches the Dominican Republic has to offer. 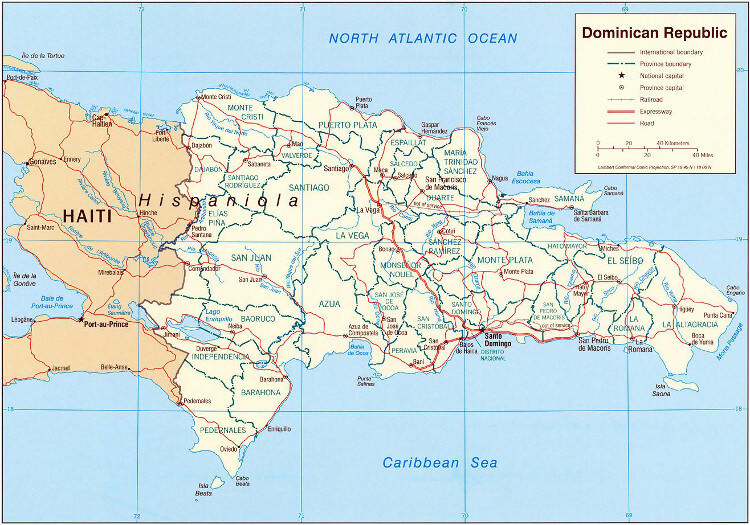 The province of Espaillat is located on the northern coast of the Dominican Republic. This area attracts many tourists because of its sunny beaches and beautiful resorts. If you're looking for more of a quiet and intimate wedding, this province provides the beautiful scenery without the crowds. Hato Mayor has a mixture of great beach locations as well as green and mountainous areas. Take your pick in this province. One of the smallest provinces in the Dominican Republic, Hermanas Mirabel contains some smaller, but very lush mountains as well as some beautiful valleys. Independencia is a mainly mountainous region, but does offer some beautiful lakes such as Limon Lake as well as easy access to Enriquillo Lake. La Altagracia is located on the east coast of the Dominican Republic. It is one of the hottest tourist spots within 50 miles of many beaches. Several resorts are also located here, making it a perfect location for rest and relaxation. La Romana is located on the coast with easy access to the Saona and Catalina Islands, where the water is turquoise blue and the powder white sand nestles between your toes. This is certainly one of the hottest spots for destination weddings in the Dominican Republic due to its numerous beaches and breathtaking views of the ocean. La Vega is home to the tallest mountain range in the Caribbean, some refer to it as the Dominican Alps. Not only does it provide an escape from the heat, but it offers some of the most beautiful panoramic views of the island. Many call María Trinidad Sánchez the Pebble Beach of the Caribbean. It has an abundance of golf courses as well as easy access to beautiful beaches, including Playa Grande. It is a gorgeous place for romantic walks on the beach. Monseñor Nouel is located in the center of the Dominican Republic. The most popular city in this province is Banao located near the Central Cordillera mountain range, a perfect spot for nature lovers. Banao is also famous for the restaurant Típico Bonao which is known to have some of the best traditional Dominican food. Monte Cristi is located on the coast. Just off its shores is believed to lie many sunken ships. Monte Cristi is also arrayed with many Victorian style homes giving it that European feel. The greatest attraction in the area is Monte Cristi National Park. Monte Cristi also contains some of the best preserved coral reefs in the country. Monte Plata is located in the center of the Dominican Republic. It offers some spectacular greenery as well as some beautiful waterfalls. Salto de Socoa is a must see in this area. Pedernales province is located on the south west Coast. Known for Jaragua and Sierra de Bahoruco National Parks, both contain beautiful vegetation such as native orchids, xerophile plants and begonias. If you have difficulty choosing between a garden wedding and a beach wedding, Pedernales has both. Peravia is located on the southern side of the Dominican Republic. Peravia is another province that offers a nice combination of both beach and mountains. 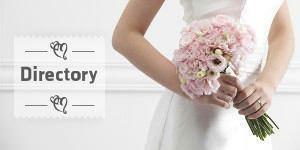 It may just be the perfect place for your destination wedding. Puerto Plata is a good location for those on a budget. It’s what we would refer to as a beach town. The province offers nice, small hotels as well as all-inclusive resorts. It is centrally located on the northern coast making it easy to explore other areas. Samaná is a place for adventure seekers. Offering some of the most beautiful views with dark green mountains, long white sand beaches, and romantic little towns in between, Samaná is a perfect wedding destination and honeymoon hotspot. Sánchez Ramírez is a central province of the Dominican Republic. A central location for either going to the coast and enjoying beautiful beaches or going west and enjoying the most beautiful mountains the Caribbean has to offer. Located a few hours east of Santo Domingo is the quiet and calm province of San Cristóbal. If you don’t care much for city life, then the reserved life San Cristóbal has to offer may be the place for you. San José de Ocoa is located in the mountains. Creating a perfect backdrop to any destination wedding. If you love the mountains make sure to check this province out. Are palm trees, white sand, and great beach weather what you are looking for? The province of San Juan offers some of the best coastal property in the Caribbean as well as some of the best resorts the Dominican has to offer. San Pedro de Macorís is home of Juan Dolio and Guayacanes, some of the most laidback beach towns in the Caribbean. Not only is it perfect for those looking for a quiet getaway, but it is also close enough to the nightlife that Santo Domingo has to offer. Santiago, located just south of Puerto Plata, is a beautiful spot to have the wedding of your dreams with the rolling green mountains as a backdrop. Santiago Rodríguez is located on the northwestern side of the Dominican Republic. While it isn’t located on the coast, it has easy and quick access to some of the most beautiful beaches along with some of the most beautiful mountains the Dominican Republic has to offer. Santo Domingo is home of the capital city, Santo Domingo. It has a great variety of restaurants and night life, and is also home to the largest botanical gardens in the Caribbean. Valverde, situated in the mountains, is located less than two hours from the beach. You don’t have to choose between the mountains and the beach, Valverde has the best of both worlds. Find out more about getting married in the Dominican Republic in our Dominican Republic Wedding Guide or browse our Dominican Republic Wedding Directory to start planning your dream wedding.